Mark Wood comes in for Plunkett. Gayle out, Thomas and Nurse the others not playing... Nurse dislocated his finger before the toss on Friday. WI Won the Toss & elected to bat. John Campbell can debut replacing Chris Gayle. 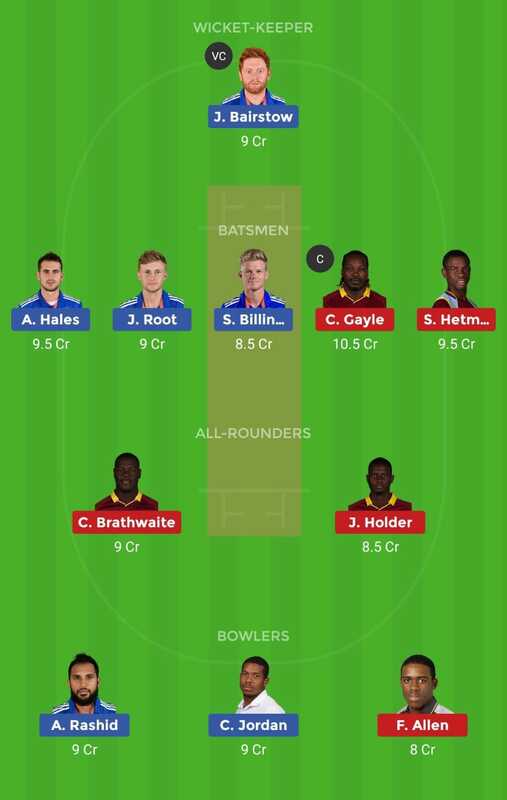 You can pick J Bairstow or Sai Hope as per your choice.